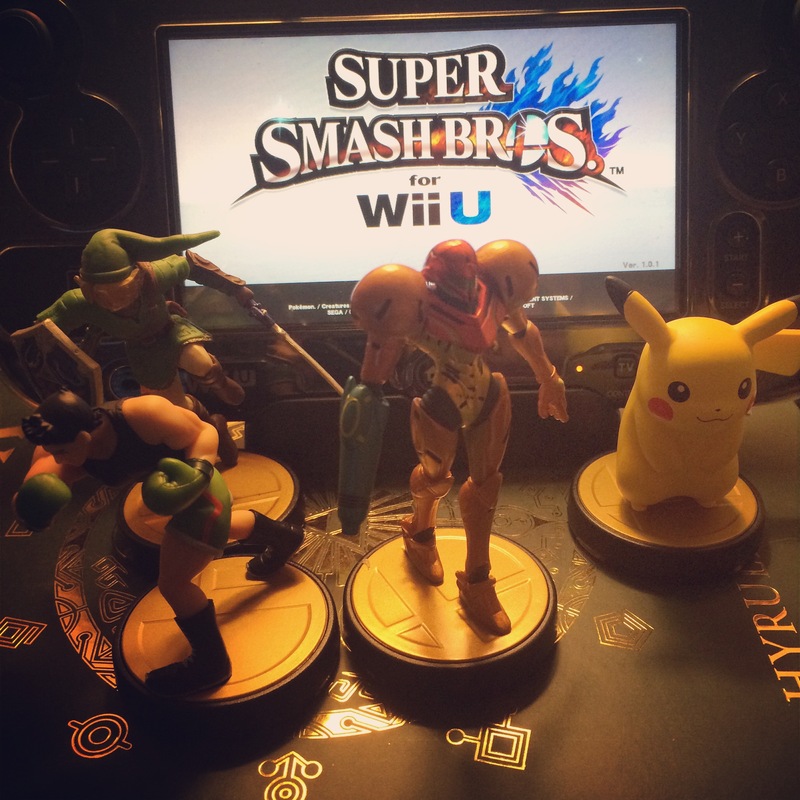 [Repost 2015/01] Are Amiibos Worth It? Since they launched alongside Super Smash Bros for Wii U back in November, Nintendo’s line of Amiibo figurines have been flying off store shelves as quickly as they can be stocked. (In fact, within three weeks 710, 000 units were sold, and for some retailers they’re outselling Skylanders figurines – an established, multiplatform series.) Dedicated collectors are shelling out crazy amounts of money for rare units like Marth or Little Mac, and the next wave of figures in February includes retailer-exclusive characters that sold out as soon as preorders opened. My current lineup of Amiibo soldiers. 1. Do you have the consoles and games that support them? 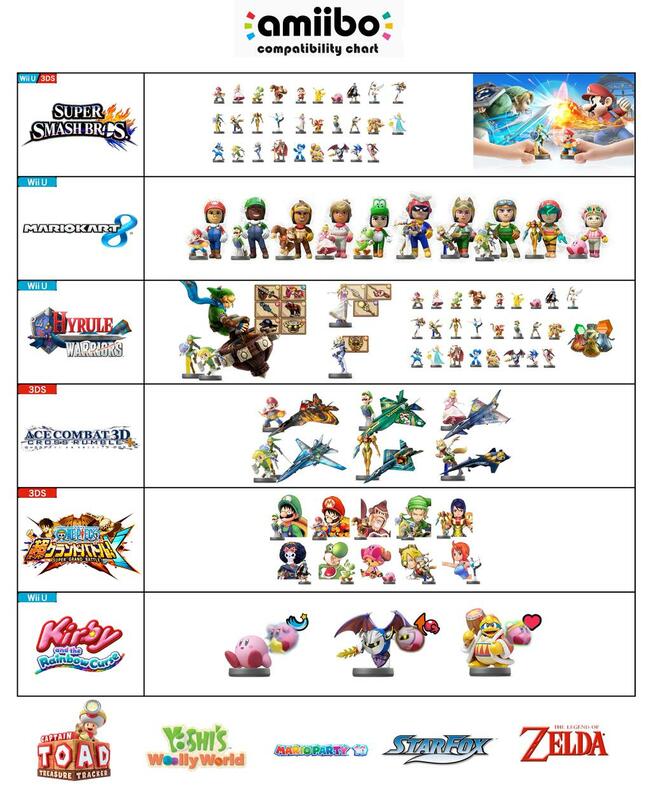 Currently only three Wii U games support Amiibo features – Super Smash Bros, Hyrule Warriors, and Mario Kart 8 – and of them only Smash utilizes the entire line in a real capacity. This number will quickly increase and include 3DS titles as well, but you’ll need to invest in either a portal for your old 3DS/3DSXL/2DS or a brand new New 3DS to that end. 2. Does the Amiibo-related content interest you? In Smash, you can train an AI-controlled version of the character you’ve purchased to fight as your ally or your enemy. It’s a very comprehensive process, done right, and one of my favourite aspects of the game. By training and sparring against my quartet of plastic combatants, I think I’ve improved greatly as a Smash player (but still nowhere near the skill of tourney players). But what about the other games? You can use Amiibos to get materials daily in Hyrule Warriors, especially with the four figures from the Zelda franchise (Link or Toon Link will unlock an exclusive weapon at first; Zelda and Shiek yield rarer materials). That’s the extent of it. If you’re collecting figures for other purposes and still playing Hyrule Warriors (for which I would not blame you – man, that game is deep), you’ll prosper, but I’d be surprised if anyone invested in a $14 figure just to get some materials in one game. The Mii costumes you unlock by scanning an Amiibo into MK8 (once) are awesome tributes to the characters – but only a handful of figurines from prominent Nintendo-central franchises are included. All you really need is a friend who owns those particular figures to come by and tap them against your Wii U gamepad and you’ve achieved all you can with them. 3. Is there a character you like/use enough? At launch, I grabbed Link because he’s one of my Smash mains and compatible with the three main titles so far. Samus followed a couple days later. Next was Pikachu, who is my wife’s favourite character, because I wanted to train an ally for her to help balance the scales when she obliges me and plays. And when I saw a local listing for a Little Mac figure, I snapped it up for rarity’s sake, and again, because I enjoy playing him. I’d love to do the same for Lucario, but chances are slim with its exclusivity. All that said, I’m not interested in many of the figures – the Kongs, for example. I don’t use them in Smash, and the Donkey Kong franchise is one of my least favourite of Nintendo’s staples. (Don’t get me started on how much attention he steals from Samus.) There’s no incentive to get them in my case. So ask yourself – are my mains in Smash Bros included in the Amiibo lineup? Do I yearn to race as a Mii version of myself wearing Captain Falcon’s trademark helmet? If you only use Bowser Jr and you’re not an obsessive-compulsive collector, Amiibos probably don’t have much to offer you right now. 4. Are the figures you want available? This may be the biggest hurdle for many people: supply. 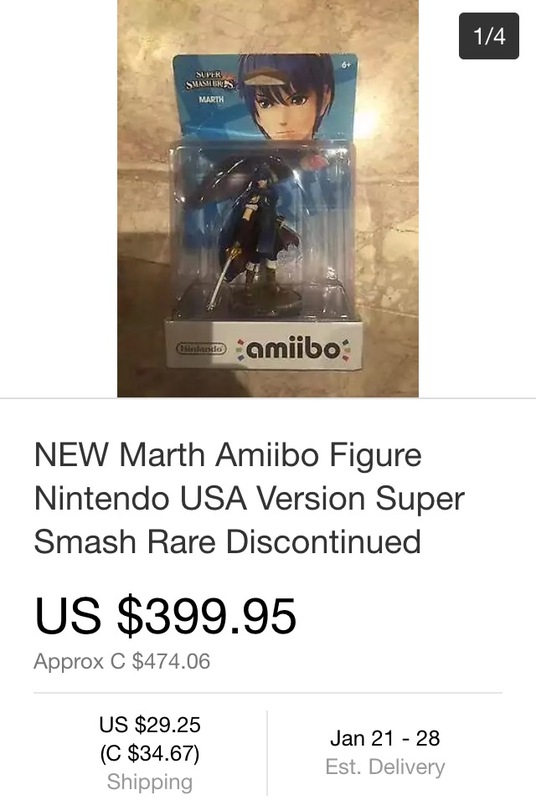 There’s a reason Marth sold out quickly – his fan base, thanks to the tournament scene, is far bigger than the number of Marth Amiibos produced. Retailer-exclusive units like Rosalina and Lucario will be incredibly difficult to come by. You’ll have to rely on outlets like eBay to get the rare figures at this point – and please, for the love of the industry, do not oblige the scalpers and pay too much for these things. Frankly, as much as I like this new system, the figures are not worth much more than their retail cost, and scalpers are out of hand with all of Nintendo’s recent supply-and-demand shortcomings. Allow me to illustrate. Below is the most expensive single item auction I could find on eBay for Marth at the time of this writing. By the Canadian prices, you could buy about 33 Amiibo figures for the same price as this single rare figure – and there are currently only 29 announced. This little guy is selling for more than the retail price of all three waves of figures. Scalpers are a plague on the industry. Mainstream, recognizable characters are readily available though, like Mario, Luigi, Link, Samus, Kirby, and so on. They may not be the top choice of tourney champions but they may be the characters who bear the most nostalgia for you. If you answered yes to all four questions, I wish you luck in plucking your figure(s) of choice from the horde of rabid shoppers – and enjoy!